For the competition of three major TV stations, the result is almost a repeat of 2010. KBS is dominating with family dramas, SBS is attracting viewers with modern dramas, only left with MBC which once again encountered famine in its survival between the crack, and likely to be a loser in year end awards ceremony. 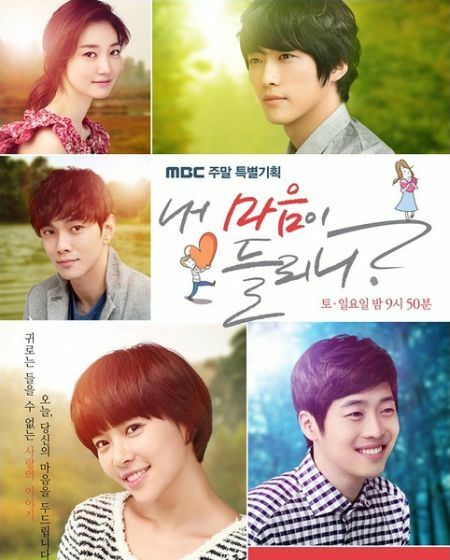 Although in 2011, Korean drama scene no longer had a national drama like Bread, Love and Dreams (King of Baking, Kim Takgu) that garnered ratings over 40%, but the average ratings of 36.4% for daily evening drama series Smile Again still maintain the family drama as the drama that in a class by oneself in the view of housewife viewers. Similarly, the dramas that centered around the life of peasants such as Ojakgyo Brothers (Ojakgyo Family), My Love, My Family, The Women of Our Home had also dominated the TV screen, maintaining average ratings of above 20%. Excluding the part of family drama, the mini-series that is prefer by overseas viewers especially younger viewers has also new features, that’s serious polarization. Comparing with previous years of less good and bad quality dramas, and more ordinary quality dramas that structured like olive, 2011’s Korean drama can be said as magnet structure that differentiates clearly good and bad. There were dramas that starred by famous actors but plot was failing, causing major disappointment; there were also dramas that honestly presented by a group of actors, and accidentally moved the hearts; of course there were more dramas that had large scale promotional campaign and the effect was really extraordinary. Here’s the top 10 Korean drama of 2011 in the opinion of Sina. Dream High is similar with The Greatest Love, is a work that focused on entertainment industry. The only difference is that the latter is an idol who has passed the peak, while the former reflects the high school student who worked hard to debut. Because of so called “trainee” mode of fostering star, Dream High can be said as a drama that uniquely Korean. The dedication spirit of the students in the drama for their dream is touching, and the brutal competition also let viewers learned the story behind the glamorous idols. This is a drama that hard to make people not thinking about it. Korean drama has been popular for nearly a decade, theme has been renewed again and again, but rarely there is drama about police and legal, which is in stark contrast to Hong Kong drama. 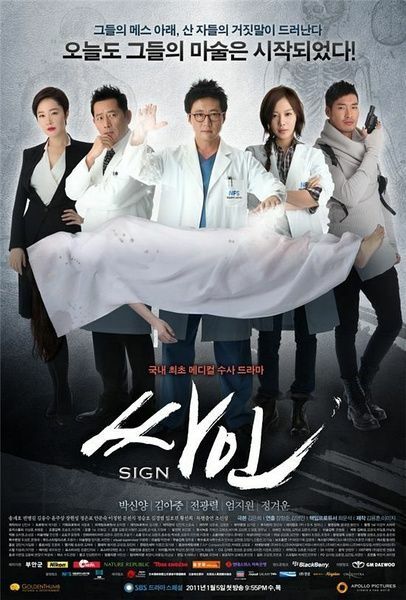 So when Sign appeared with the name of been first forensic investigator drama, many viewers paid attention to it. The drama is using a murder case as the main line, stringing up the whole story. The upright of the forensic investigator, the corruption of the government, the contest between the two powers made the whole drama exciting. The uniqueness of Can You Hear My Heart? is that it has a deaf man as the lead character, uses a love story that started from young, to illustrate the principle of listening to heart is more important to listening to words in love. Although the context of the story is still inevitable threads along commercial plot, but the account of the story on the characters is particularly moving. Whether it is part when young, or the father-daughter relationship between heroine and adoptive father with mental retardation, and including the love story between lead male and female characters, the portraying is very delicate. It’s a rare drama in recent years that moves people with love. The same story of swapping soul, but different from Secret Garden, 49 Days is probing into questions that we never thought of or couldn’t face with at deeper level. The whole drama uses the perspective of outsider, put forward the question of how is the real love. The instruction of “find 3 persons who really sincerely cry for me in 49 days” made viewers began to think about their own relationship. Although it’s the lousy common terminal illness drama, but Scent of a Woman is using “old single woman” to package it. Scent of a Woman did not entangle too much with illness, but through a bucket list, conveying a positive and optimistic attitude towards life. In the time Lee Yeon Jae greets the arrival of the end, she achieved many dreams that never achieved before. With the impending arrival of the legendary doomsday, this drama can be said to teach us a good lesson on how to greet the end. Adapted from the novel of Lee Jung Myung. The drama tells the story from creation to spreading of Hangul, showing the altitude of different persons at that time towards the matter. It’s a drama with quite a lasting appeal. Author stood at the point of ancient people, created the fictional plot, but is very convincing. It’s world class no matter in terms of shooting tactics or acting skills, is a drama series with attitude, style, and also plot. The success of The Greatest Love is that it gave a different kind of shell to entertainment industry, that’s the survival report of female star who has long past her prime, which which happens to be the topic that everyone has to think about current and worry about future when seen. Although the story is purely fictional, but the reflection of The Great Love about the phenomena of super fast pace of renewal of celebrities, out-of-favor idols try hard to transform by lowering own worth is to some extent a realistic portrayal. In addition to the history of the struggling of out of favor actress, the cute Dokko Jin is also a reason to watch the drama. He managed to quickly caught the viewers’ attention, the comedy talent of Cha Seung Won was perfectly shown in the drama. y everyone but only to borrow, “City Hunter” is filled with new packaging content. Punish evil crime drama City Hunter satisfaction of everyone, love scenes disturbing twists and turns of ups and downs, but the constant change of long leg handsome guy Lee Min Ho’s styling was moving the heart of viewers. The popularity of the drama also led to the hot selling of related products, and the value of actors in the drama also rose, it’s a successful case of win-win situation. 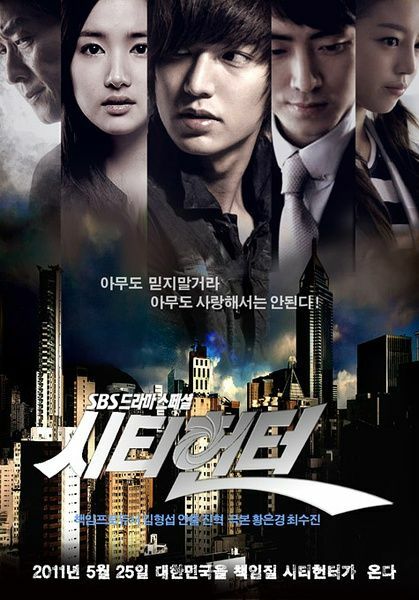 Although there were many popular dramas in 2011, but the champion of best 2011 Korean drama still has to be given to Secret Garden which premiered in November 2010. The story has the shade of fairy tale, but every moment is full of practical factors. It’s telling the old-fashioned story of prince and Cinderella with a new tactic of soul changing. The portrayal of the characters in the drama is very successful, causing Kim Joo Won and his related products and even his way of talking to be trending for the whole year. The dialog lines of the characters in the drama is very splendid, no matter it’s of literary of vulgar nature, both has became the object to imitate in variety shows. As for the red-hot theme song “That Woman,” is still letting people felt sad when listening to now.